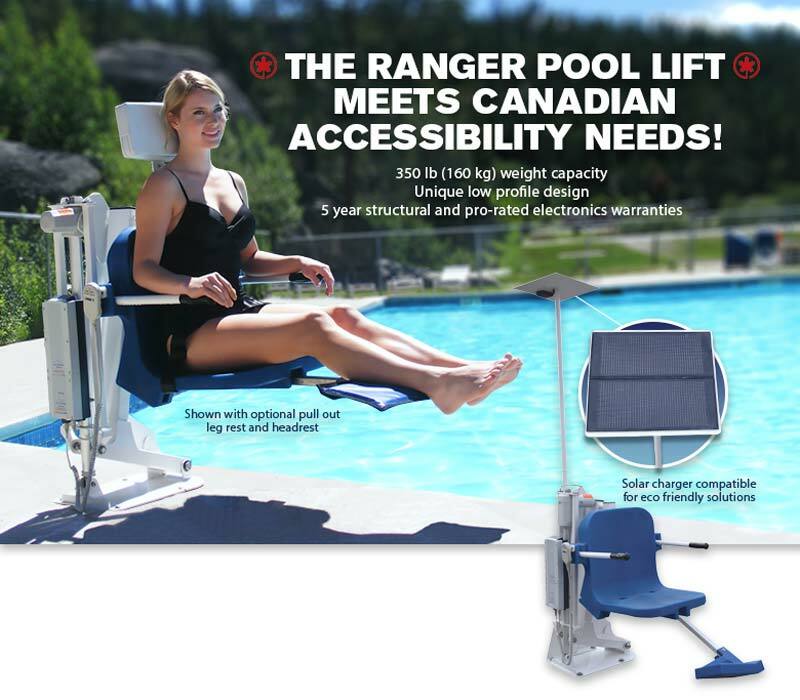 With the goal to bring affordable, reliable pool and spa access to everyone, Aqua Creek Products offers a range of pool and spa lifts—many of which meet Canadian accessibility requirements for commercial and residential use. One of its most popular products is The Ranger. It can be independently operated by the user, providing them full control of the lift using a two-button handset. It is an economical, third-party verified compliant lift that is durable and reliable. The Ranger has a 159-kg (350-lbs) weight capacity while maintaining a sleek, low-profile design, making it ideal for use on smaller hotel and motel pools. It is a great option for backyard pool enthusiasts, as well. Thanks to the Ranger’s additional anchor setbacks, it can accommodate a variety of pool deck designs. A reverse configuration is also available for individuals who need to transfer from the right instead of the left side. An optional adjustable seat pole allows the seat to be adjusted from 457 mm (18 in.) up to 584 mm (23 in.) making lateral transfers from higher wheelchairs easier. Extended base options are also available for pools with larger gutters. Like all Aqua Creek lifts, the Ranger has a five-year structural and five-year pro-rated electronics warranty. It has standard anchors with 102-mm (4-in.) and 203-mm (8-in.) inserts for use with pavers, and a wood deck anchor application. Standard on Aqua Creek lifts include all-stainless steel construction, protective powdercoat finish, flip-up armrests, water-resistant handset, and rechargeable battery with wall-mount charger. Aqua Creek also offers a solar charging station for all of its pool lifts, which provides a steady stream of low-voltage power to the battery. The solar charger extends the life of the battery and eliminates the need to remove it each night for charging. In addition to manufacturing pool access equipment, Aqua Creek also offers a comprehensive line of aquatic training and exercise equipment for a wide range of users—from new swimmers to aquatic therapy patients. Whether making an aquatic facility or backyard pool or spa more accessible, Aqua Creek has an access system for any project. 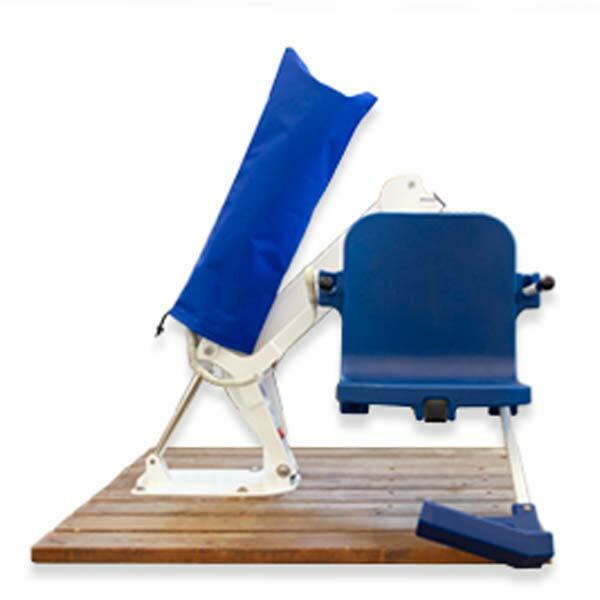 Aqua Creek has been manufacturing quality aquatic access and therapy equipment since 2002. The company is well-known for its products, warranties, and customer service. Staff members are highly experienced and dedicated to helping clients find the right product for all pool and spa access needs. All lifts are manufactured in the United States. For more information, visit https://aquacreekproducts.com. All information listed in this section was submitted by Aqua Creek Products.